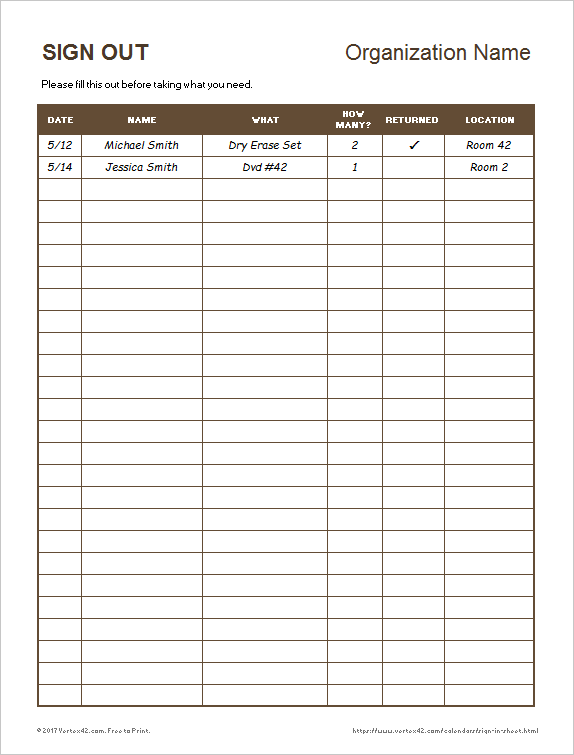 A simple sign out sheet is useful if you frequently lend or check out your tools, equipments, books, or other items and want to keep track of who is using them. 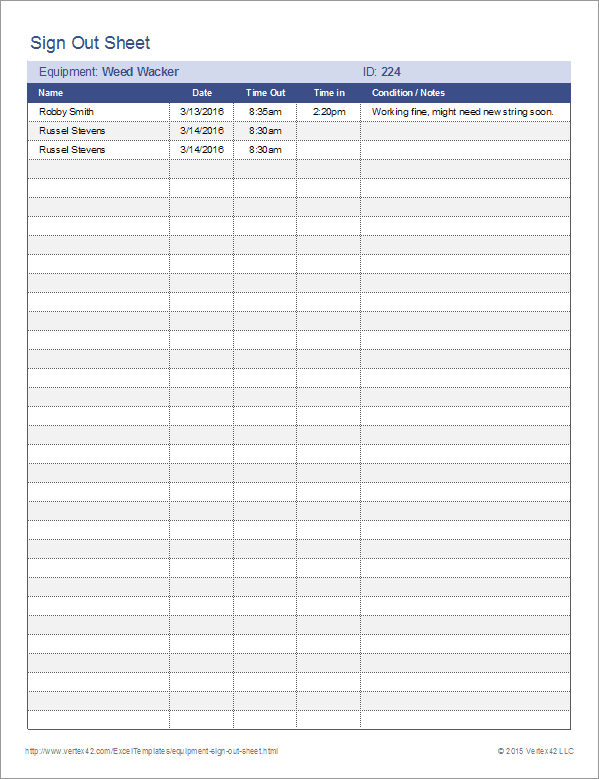 You can get a head start on creating your own printable sign out sheet by downloading the template below. This template was designed to be customized and printed and kept attached to a clipboard or within a 3-ring binder. I first came across a form like this used by one of my college professors. He used a checkout sheet to keep track of books he lent out. Companies and organizations with many tools and employees will often use barcode scanners linked to inventory management software. Small repair shops with tools that don't get taken out of the shop may opt for the "a place for everything and everything in its place" approach. But, there are still plenty of situations where a simple pen-and-paper sign out sheet works well. This template provides a very basic printable sign out form. There are two worksheets in the file. The first worksheet (shown in the image above) is for tracking a single piece of equipment. The second is for checking out multiple tools using the same form. 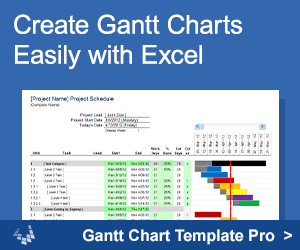 There are no formulas or calculations in this spreadsheet. You can change the layout, columns widths, and column labels as needed. 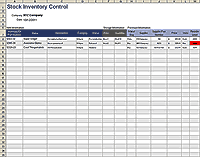 This template is great for keeping track of your organization's supplies (e.g. : a church library that lends out books, keys, photos, videos, chalk, crayons, etc.). It allows you to track who has checked out what, how much they took, what room or location they are using it in, and whether it has been returned.